Co-branding provides you with a cost-effective way of providing your customers with a uniquely styled gift. 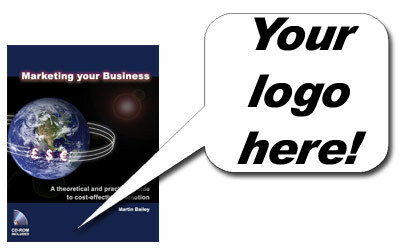 All of the titles by Martin Bailey are available for co-branding through Management Books 2000 Ltd, delivering a completely customised outer cover that can be tailored to match your corporate identity. 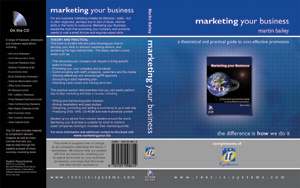 Anyone can have their logo printed on a T-shirt, pen, mug or mouse mat, but a book is unique. It contains knowledge, which you as the co-brander are empowering your customers with. If, for example, your customers resell your products, then Marketing your Business is an ideal title as this will teach them how to market themselves (and thus you) more effectively. 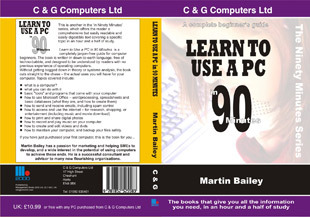 New PC users will benefit from Learn to use a PC in 90 minutes. Companies looking to either take control or expand their online presence could take advantage of either Get more visitors to your website in 90 minutes or Build a website using a CMS in 90 minutes. Co-branding is actually inexpensive, and due to print-on-demand technology the quantities you need to order are now extremely low. Example: 30 copies of any of the '90 minutes' series books would be available, complete with re-branded artwork for £6.60 per copy. That's under £200 for 30 custom-branded books! 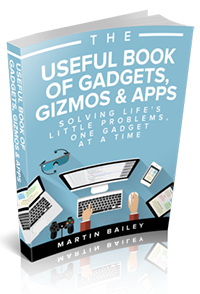 This is reduced to £5.50 for 50 or more copies (which is £275 in total). Either you can provide finished artwork to our specifications or we can produce this for you. Artwork is produced in CorelDraw, with source files available upon request. 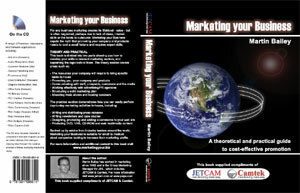 A PDF electronic proof will be provided prior to printing. If the book is already in print then the process is extremely swift, often only taking 1-2 weeks on completion of artwork. Simply use the contact page to request a formal quote.